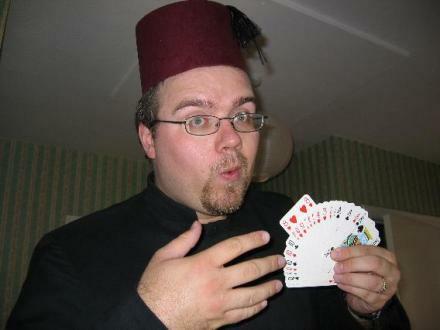 Remember that splendid fez that I wore for the “How I made this website better with a Big Red Fez” post back in January 2006? Well this weekend I’m saying goodbye to it and passing it on to bigger and better things than sitting atop my head for comedy blog posts. Within the next few days my big red fez (kindly gifted to me a few years ago by Tony Hodges, not to be confused with Terry Hedges) will be briefly reunited with to Tony en route to Matt Rumblelow for his Hat Challenge™. He’s collecting hats for charity, CLIC Sargent to be exact. Feel free to donate. Money or hats welcome, I assume. Woohoo!! I remember you posting that photo originally. Eeks! Its scary that its well over a year ago now. Your help on this nobel quest is very much appreciated and is goign to make a lot of people smile all around the country. I shall wait eagerly by the letterbox awaiting Postie. 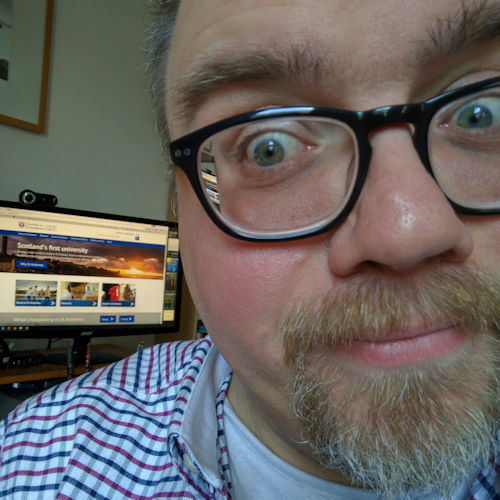 Hi thanks for your help, the fez looks absolutely brilliant and this post will help me out a lot no doubt, so cheers!!! 😀 I shall make sure to take great care with it. By the way sorry to pick holes as you’ve gone to so much effort but would you mind changing my name to Matt Rumbelow instead of Michael (I imagine it’s easy enough to get stuff lost in translation). Sorry about getting your name wrong Matt.